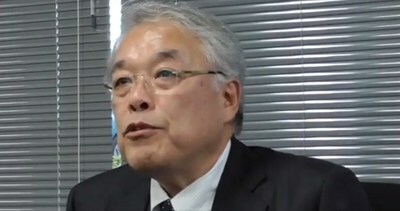 KAWASAKI, Japan, April 16, 2019 /PRNewswire/ -- The April 2019 issue of Kawasaki SkyFront i-Newsletter includes a video interview with Satoshi Morimoto, Managing Executive Officer, Member of the Board Division Manager, Regenerative Medicine Division, Head, Tonomachi CPC, Life Science Institute, Inc.; a summary of news and events; and highlights of research being conducted by scientists affiliated with Kawasaki INnovation Gateway at SKYFRONT (KING SKYFRONT): the City's flagship science and technology innovation hub focused on the life sciences and environment. Managing Executive Officer, Member of the Board, Division Manager, Regenerative Medicine Division Head, Tonomachi CPC, Life Science Institute, Inc.
We opened the facility called Tonomachi CPC in Life Innovation Center for our research and development on regenerative medicine product of Muse cells that we are developing now. Clinical trial of our Muse Cells was initiated for acute myocardial infarction in January 2018, then cerebral infarction in September and epidermolysis bullosa in December as target diseases. Shimadzu Corporation will establish a new base for its measurement business in Kawasaki City by December 2020. The convenient location of the base near Haneda Airport is expected to accelerate open innovation. Clinical research on "regenerative medicine using iPS cell-derived neural progenitor cells for subacute stage spinal cord injury" (Start of Research and development approved).